The former Kapamilya singer Christian Bautista is now proudly to become GMA Kapuso star, he made the move from ABS to GMA recently. The singer signed a 3-year contract on GMA, seven years after being a Kapamilya. Christian told to press that he was very happy to be one of the Kapuso star, he was very much excited and welcomed by the GMA management. "My family, my management and I believe the best way right now with my present career is to be part of GMA. I'm very, very happy that they accepted and welcomed me. I'm very excited," he said. 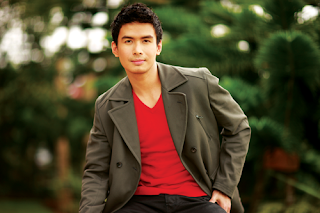 You'll see Christian Bautista featured on the show “Party Pilipinas” and in other GMA shows. Some source said that Christian would miss his ABS-CBN family and friends, the source also said that the singer-actor personally spoke with each members of “ASAP 18” to say goodbye to them. For the meantime, if you like the information about Christian Bautista, please bookmark this page and share it to your friends on Facebook, Twitter and Google+. Comments or suggestions about "Singer Christian Bautista is now GMA Kapuso" is important to us, you may share it by using the comment box below.